Bex chats to Joshua Rush who plays Cyrus in Andi Mack! Listen to them chat below! 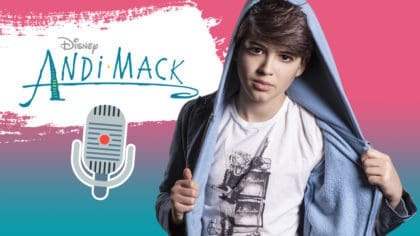 Bex has been chatting to Joshua Rush who plays Cyrus in the Disney Channel show Andi Mack in The Club on Thursday! They’ve been chatting about how well the show’s gone down and about Cyrus, the character Josh plays. You can catch episodes of Andi Mack weekdays on Disney Channel right now! Plus, if you didn’t already know, we also spoke to Peyton Lee who plays Andi herself!